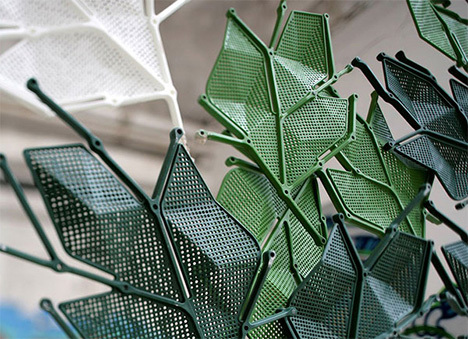 These polypropylene leaves, named Maria by the designer Luca Nichetto, look like playthings. Joined together by small pins through the leaves’ joint holes, you can build and create their room partitions in your own design, window shades, or even an artificial plant. 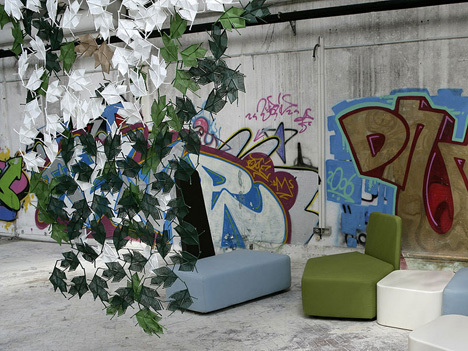 The distributor, Casamania, also offers an “additivated” version which changes color depending on temperature, so stick ‘em outside and watch the seasons change. This entry was posted on October 1, 2008 at 10:43 pm and is filed under Design. You can follow any responses to this entry through the RSS 2.0 feed. You can leave a response, or trackback from your own site.